One of my go-to spots for yummy family recipes is the Shopping with Chicken App. Not only does it have loads of amazing recipes to browse through, but it also simplifies my grocery shopping too. 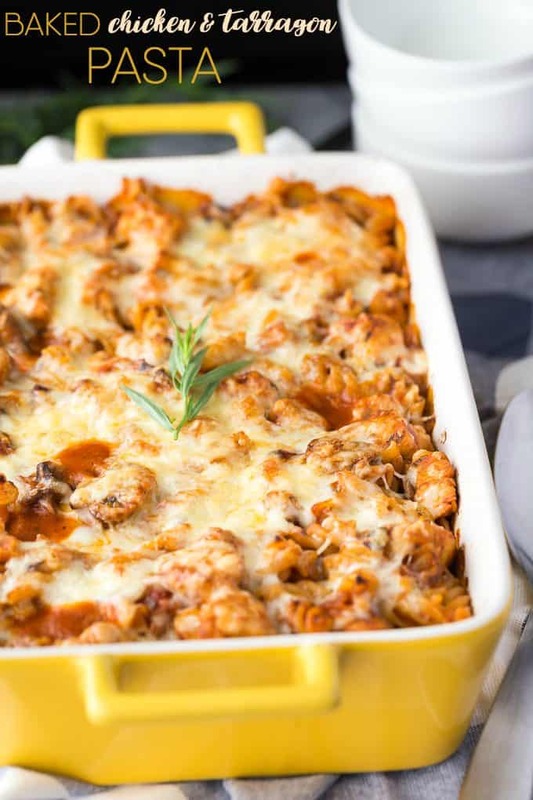 I was looking for a comforting family meal that could be prepped ahead of time and stumbled on a recipe for Baked Chicken & Rosemary Pasta. The picture looked so tasty and I already had most of the ingredients already. Plus, I could make it on the weekend and then pop it in the oven for dinner after the girls are home from school. I normally do my grocery shopping on the weekends and use the Shopping with Chicken App list feature. You can find a recipe you like and then click the plus sign to add it to your shopping list. Easy peasy! For this particular recipe, I was in search of fresh rosemary. Unfortunately our grocery store didn’t have any so I improvised and changed it up a little bit. I’m calling it Baked Chicken & Tarragon Pasta. Fresh tarragon was available and I figured it would be just as good. And I was right. It was delish! Because weeknights are so busy with lessons and other after school activities, doing a little prep work ahead of time is a smart idea. I find it makes the week go a lot smoother if you plan your dinners and get yourself organized. I made the sauce and cooked the pasta the day before and assembled the dish in my large casserole dish. It went into the fridge till I was ready to heat it up in the oven. It bakes in only 15 minutes so is a very fast meal to prepare if you’ve already done the little bit of legwork. And boy is it good! I made ours a little on the spicy side and used both the cayenne pepper and red pepper flakes. If you’re family isn’t so “hot” for spices, tone it down by either omitting both or using just one. It’s a large casserole and will easily feed a family of four. We each had a bowl and were stuffed afterwards. It’s very filling. I saved the leftovers for lunch the next day and it was yummy! Plus, I like knowing that my family is eating healthy with Chicken Raised by a Canadian Farmer. Make sure you look for the logo on the chicken at your grocery store. You might also like this Impossible Chicken Pie, Tortellini Casserole or Chicken Broccoli Casserole. Do you ever do any weekend prep for your weekday meals? This savoury casserole will easily feed a family of four. It’s a little on the spicy side, but oh so yummy! Heat olive oil in a large pot over medium-high heat. Add onions, garlic and chicken and saute until cooked through, stirring occasionally. Add mushrooms, pasta sauce and cream and stir. Bring to a boil over medium-high heat and then reduce to a simmer. Cook for 10 minutes, stirring occasionally. Stir in balsamic vinegar, Kalamata olives, cayenne pepper, red pepper flakes, parsley and tarragon. Cook for 5 more minutes. Preheat oven to 450F. Cook the pasta according to package directions until “al dente”. Drain and add it to the sauce and stir to combine. Spray a large casserole dish (about 3 quarts) with cooking spray. Spread the pasta mixture in the dish. Cover with mozzarella and Parmesan cheese. Bake for 15 minutes or until cheese is melted and a golden brown. Serve hot. Inspired by Chicken Farmers of Canada recipe. I like the recipe of the Baked Tarragon Chicken. Looks like something I need to make. I love pasta in pretty much any form. The fact that this has balsamic vinegar is a huge bonus! This is really a full meal and all that needs to be prepared for dinner! I want to make this delicious Casserole. Looks so delicious! This recipe is easy enough to make and it looks and sounds delicious. Thanks for sharing. all that flavor…..my guys would devour this one! Looks great! I will have to try it. I am always on the look out for easy and delicious recipes. I love your recipes and food pics! Thanks for this one too! 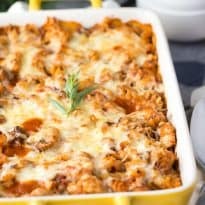 Here’s an awesome pasta dish to try.I love these kind of meals that are all in one pan and love pasta very much too. 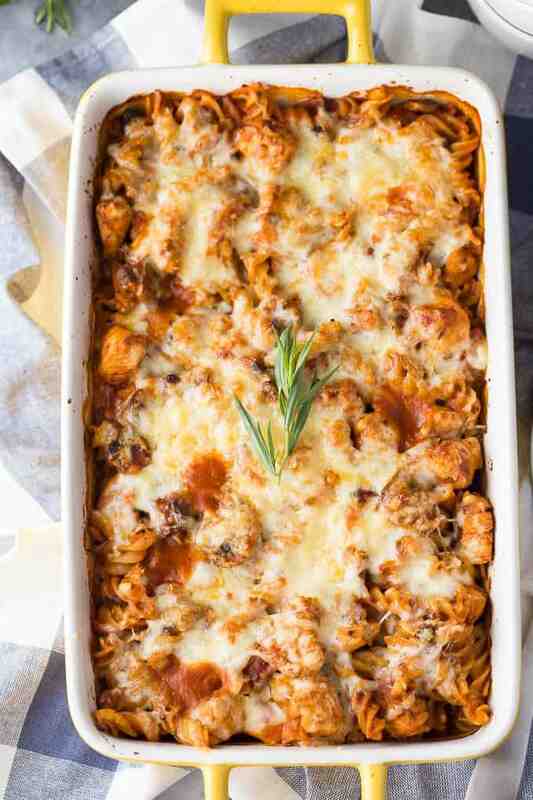 I would most definitely love to try the Baked Chicken & Tarragon Pasta. I think it is an outstanding plate, of which I am trying later in the week. This looks so good. I’m always on the lookout for easy casserole meals like this. Visiting from Handmade Hangout. Looks so good! Thanks for sharing at this week’s Inspiration Spotlight party. See you again soon. Pinned & shared. 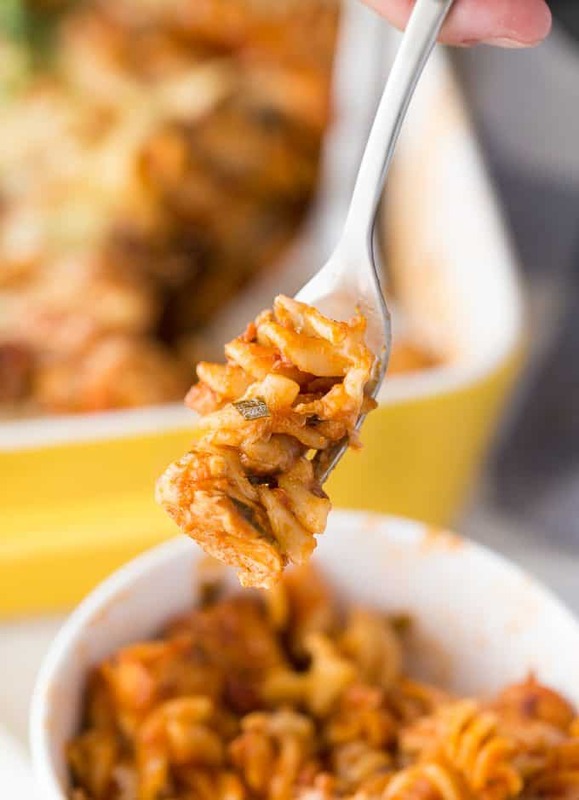 Your Baked Chicken Tarragon Pasta looks awesome! Thanks so much for sharing with us at Full Plate Thursday and have a great weekend! Mmmmmm looks so tasty and I love cooking w tarragon!!!! This looks really good, I can not wait to try it. This Chicken Tarragon Pasta sound delicious. 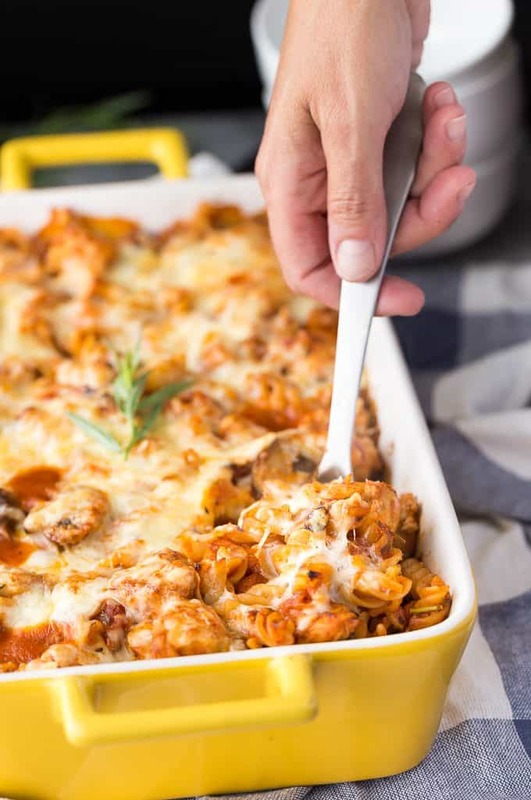 I love both chicken and pasta so I will save this recipe until I get a chance to make it. Thank you so much for this great make-ahead casserole dish.